Andrew Wheeler, acting administrator of the U.S. Environmental Protection Agency, and Nicole Nason, assistant secretary of the Bureau of Administration, were officially nominated to take on new posts. President Donald Trump on Jan. 9 nominated Wheeler to be the new administrator. If confirmed he would succeed Scott Pruitt. Nason was nominated a week earlier on Jan. 3 to lead the Federal Highway Administration, where she would oversee surface transportation policy at a time when the U.S. Department of Transportation proceeds with initiatives related to autonomous vehicles and infrastructure funding. If confirmed, Nason would succeed Greg Nadeau at FHWA. Prior to EPA, Wheeler had been a staffer at the U.S. Senate Environment and Public Works Committee, and he followed that with a lobbying role for coal giant Murray Energy Corp. Shortly after the announcement, EPW Chairman John Barrasso (R-Wyo.) expressed support for the nomination. “Acting administrator Wheeler has done an outstanding job leading EPA and is well qualified to run the agency on a permanent basis,” Barrasso said. The panel has yet to schedule a hearing to review either of the nominations. FHWA is currently led by deputy Administrator Brandye Hendrickson. In 2017, Trump nominated former Iowa DOT chief Paul Trombino to lead FHWA. After a favorable confirmation hearing before the EPW panel, however, Trombino abruptly withdrew from consideration. Out of government during the Obama administration, in 2014 Nason founded and ran Project Koe, a Connecticut-based outfit aimed at empowering women and boosting health and fitness through traditional Japanese martial arts. She described the experience during a TEDx Talk in 2016. She earned a bachelor’s degree in political science and government at American University and a doctorate at Case Western Reserve University. Meanwhile, a trio of Trump’s nominees for top roles at transportation agencies were not called up by the Senate for consideration prior to wrapping up legislative business for the 115th Congress. As such, the officials would need to be renominated. They were Heidi King to become NHTSA administrator, Thelma Drake to lead the Federal Transit Administration and Diana Furchtgott-Roth to be assistant secretary for research and technology. King is NHTSA’s deputy administrator, and the Commerce Committee reported her nomination in June on a party-line vote. She had been a regulatory policy analyst at the Office of Management and Budget. She also was chief economist on the House Energy and Commerce Committee. Drake is a former congresswoman who has experience with the Washington Metropolitan Transit Authority and the Virginia Railway Express during her tenure with Virginia’s state government. 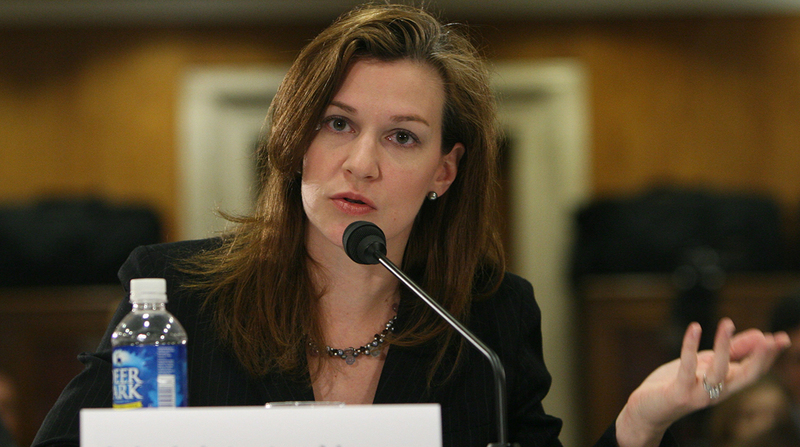 Furchtgott-Roth is the former chief economist at the Department of Labor and had been chief of staff of the president’s Council of Economic Advisers.